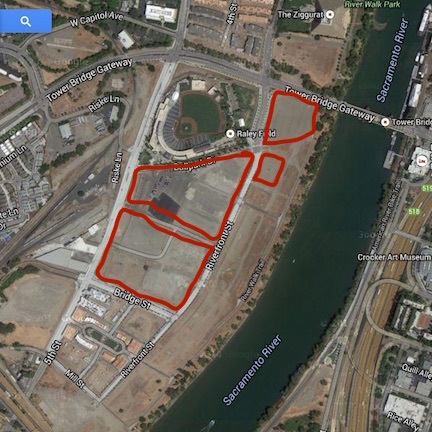 The River Cats recently announced that they were going to make parking free and have expanded parking space for the upcoming season (SacBee). And they are raising ticket prices. Free parking? There is no such thing as free parking. The car drivers are now receiving a subsidy to drive, at my expense. Have the River Cats not heard there is a trend away from free parking and towards motor vehicle drivers paying the true cost of that choice? This is not a good sign for livability in West Sacramento, or traffic management on both sides of the river, or greenhouse gas reduction. Just when West Sacramento seemed to be overtaking Sacramento in interest and progressive ideas comes this regressive idea. Many game attendees have been walking across the Tower Bridge from Sacramento, some because they’ve parked in downtown or old Sacramento, and some walked from their homes or light rail. These people will now be paying for parking that they aren’t using. I won’t be subsidizing car drivers, and I won’t be attending. The map above shows the areas I think are available for parking around Raley Field, though this needs to be field checked. Of course much of this area will eventually be developed with housing and other development, but for the time being there hardly seems any shortage of parking.